If one or more jutted teeth make you want to hide your smile, treatment for a jutted tooth may be right for you. At Desert Dental Alternatives, Dr. Bruno Lemay offers a wide range of cosmetic dentistry treatments to correct dental flaws, including jutted teeth, helping patients enjoy the confidence of a beautiful, flawless smile. We welcome you to schedule a consultation with Dr. Lemay to find out if treatment for a jutted tooth is right for you. Serving Rancho Mirage, CA, Palm Springs, CA, and Palm Desert, CA, Dr. Lemay works closely with each patient to create the perfect treatment plan for every patient's unique needs. Here, we'll take a closer look at some effective treatments for correcting a jutted tooth and enhancing the smile. Porcelain veneers are custom-crafted, tooth-shaped shells that fit over the teeth to correct a wide range of dental flaws. Porcelain veneers may even be used as “instant orthodontics” to correct minor alignment issues, such as one or more jutted teeth. Porcelain veneers treatment is performed by removing a thin layer of enamel from the teeth and then taking impressions. These impressions are then used to design an aesthetically pleasing smile and sent to a dental lab where each veneer is made to the precise specifications of each impression. Temporary veneers are placed until the custom veneers are complete, which takes about one to two weeks. Once complete, the temporary veneers are removed and the finished veneers are bonded to the teeth, dramatically transforming the smile without the long wait time of traditional orthodontics. Another option for treating a jutted tooth is Invisalign®. Invisalign® is an aesthetically pleasing orthodontic option that eliminates the need for metal braces thanks to a revolutionary system of clear aligners. With Invisalign® treatment, patients wear a series of clear aligner trays for 20 to 22 hours a day. Trays may be removed while eating and for ease of brushing and flossing the teeth. Each set of trays are worn for about one to two weeks and then a new set is worn to gradually adjust the position of the teeth. 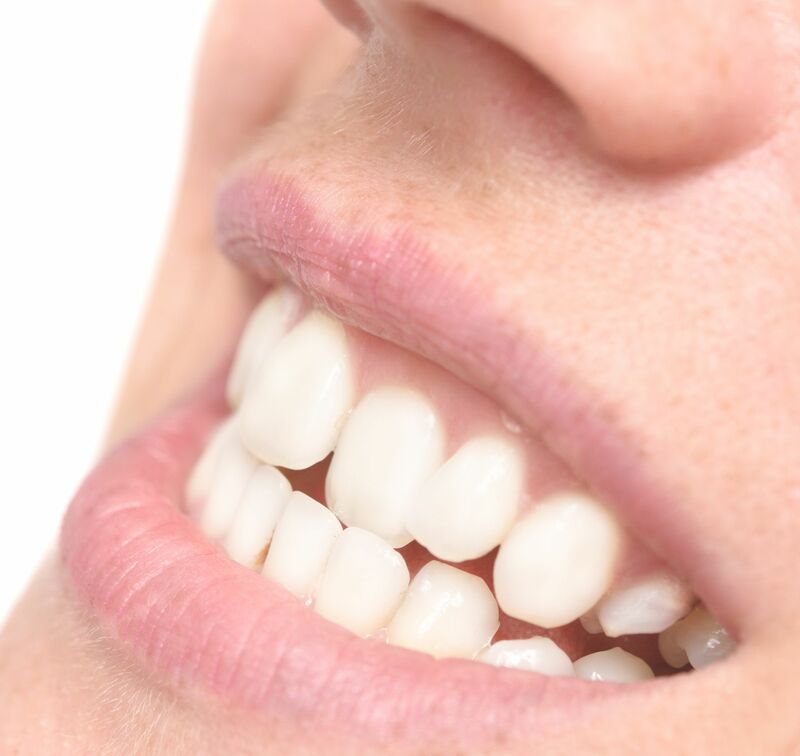 Trays are worn until the teeth reach the desired alignment, which may take several months. Invisalign® treatment is often best suited to those with mild to moderate alignment issues. Those with a severely jutted tooth may not be suitable candidates for Invisalign®, but may benefit from traditional orthodontics. Traditional orthodontics is one of the most effective treatments for straightening mild to severely jutted teeth and other alignment issues. Traditional orthodontics uses a system of metal brackets and wires to physically shift the teeth and reshape the jaw. During orthodontics treatment, these braces will be adjusted to gently move the teeth into proper alignment. Once the desired alignment is achieved, which may take around 12 months or more depending on the severity of alignment issues and tooth jutting, the braces will be removed and a retainer will be fit to help maintain the new position of the teeth. For more information about treatment for a jutted tooth, or to find out if you're a candidate, we welcome you to schedule a consultation with Dr. Lemay.